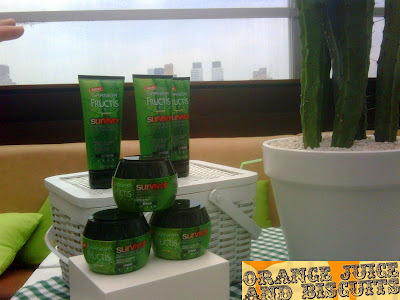 Garnier Backyard BBQ: Garnier Shows New Products On Empire Hotel Rooftop! I went to the top of the Empire Hotel to check out Garnier's new products during their Backyard BBQ on Tuesday, August 10, 2010. 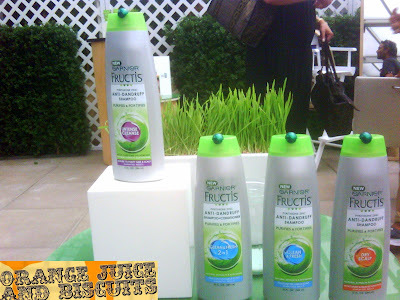 I have been a long time user of Garnier products so I was excited to go see what they were cooking up. The team at Garnier took me through everything from skin care to hair products for women and men. I am going to start with the men's products first so fellas pay attention (Let's be honest, LADIES tell your man about this stuff HAHA). Garnier has a new line for men called Survivor made with cactus extract that locks in moisture and locks out the elements. I was surprised with these products because they do not have the classic fruity smell of most Garnier products. I think men will respond well to Survivor because it smells clean and masculine without having an overbearing scent. I love products that just smell fresh and clean. Also, Survivor is very light and not heavy and sticky like a lot of hair products. 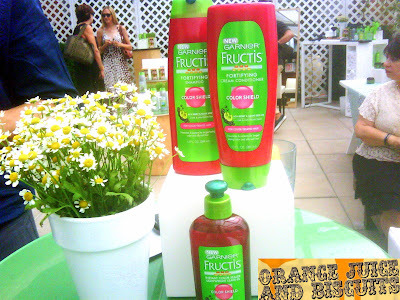 I got hands on with a lot of the Garnier products so I know from experience (I will go there for my readers). The best thing about Survivor is when the guy presenting the products told me that you can basically go and get crunk in the club and not look like a hot heated mess at the end of the night (OK, so I paraphrased a bit). He did say that it would allow you to keep your hair in tact which can help you seal the deal at the end of the night. Maybe they should call it City Survivor? Above: Garnier's new hair product line, Survivor, for Men. Another great thing that Garnier has is a line of dandruff shampoo for men. Let's face it, a lot of guys have problems with dry scalp. Again, these products have a clean smell that doesn't smell feminine or like a typical dandruff shampoo. Above: Garnier's new line of anti-dandruff shampoo that touts 48 hour dandruff control. Now for the ladies, Garnier has a new color shield system with two new ingredients, acai berry and grape seed oil, that will keep your color bold for up to 45 washes. It smells amazing too! Above: Garnier's New Color Shield System shampoos and conditioners. 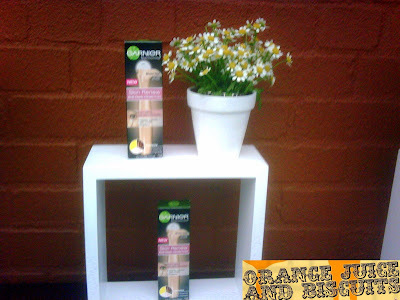 One of the products that seemed to stand out and that I have heard people rave about is Garnier's second generation 2-in-1 eye roller with concealer. This product helps to correct dark circles under the eye and I have heard that it feels amazing too. The product contains caffeine and lemon essence which helps with the circles under the eyes. The woman who was telling me about the eye roller told me that her BOYFRIEND even uses it in the morning and he loves it because it helps him look refreshed. The product touts that the sheer tint blends into most skin tones and I actually saw it blend very well into two different skin tones at the event. Above: Garnier's 2-in-1 eye roller with concealer. The great thing about all of these products is that they fall in a very reasonable price range and they have a lot of research behind them. I will be sure to let you guys know via Twitter how I like the men's products so be sure to follow me for updates! Smelling all of these great products makes me want to jump in the shower right now. 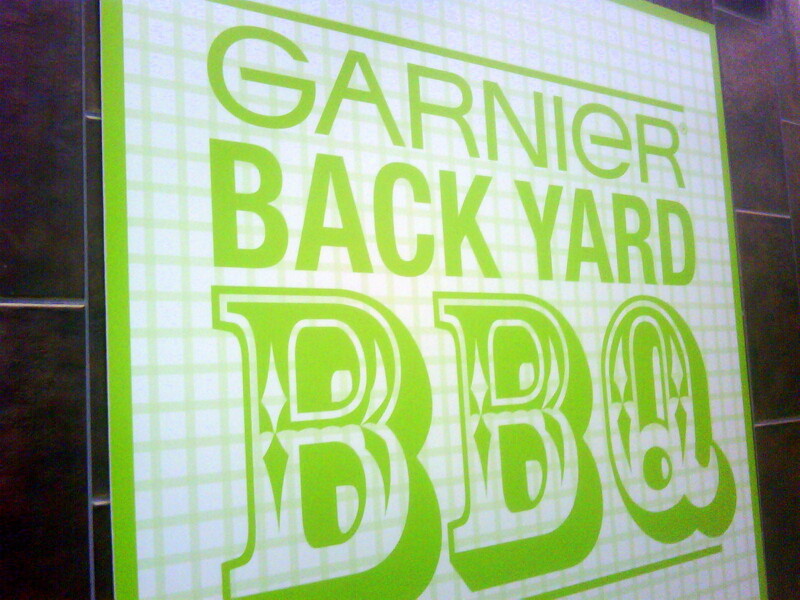 Thanks for showing me all of the new products Garnier and thanks for the amazing food as well! Above: What is a backyard BBQ without burgers? 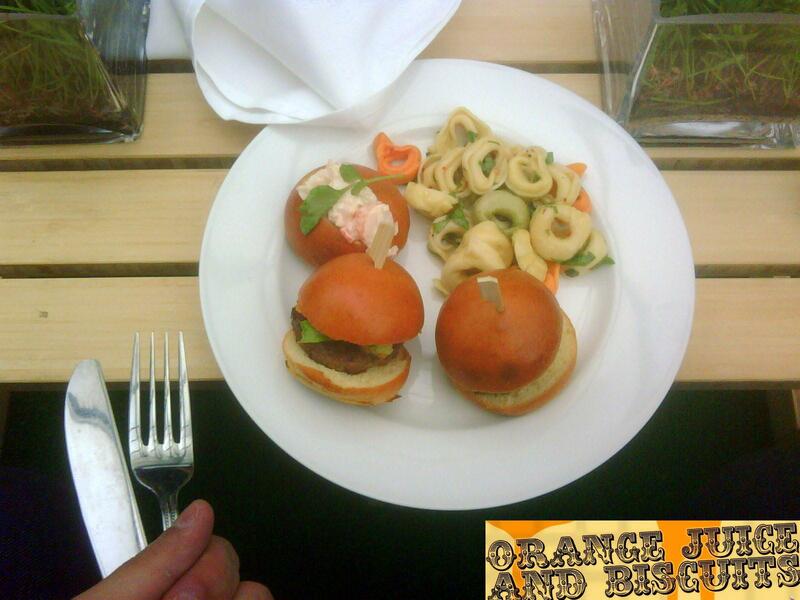 These mini cheeseburgers from the Empire Hotel were beyond delicious. Probably one of the best burgers that I have ever eaten and I do NOT play when it comes to saying food is good!